If God is on your side and you happen upon a tin of Germain Royal Jersey Perique .... by all means snag it !!!! I am in no way a Germain/Esoterica fan boy, even though i have a lot of there blends in my cellar, but that is one tin i need to try. I recently just cracked the Royal Jersey Latakia, and its def unique too. For some crazy reason i get an apple taste in it, its amazing. One thing i give Germain lots of credit, is for the way they cut there blends. Its my second favorite ribbon cut only behind Dunhill cuts. Davidoff Flake Medallions is rarely mentioned, but my favorite in that category. In all honesty, I was originally not a fan of Escudo. I purchased a tin, smoked a couple of bowls in various pipes, said meh, and put it away in the cellar. I revisited the now 4 year old tin this past August and WOW! 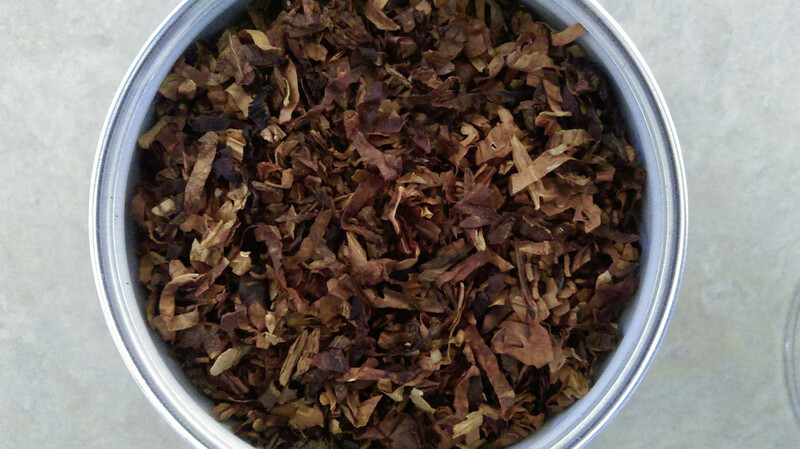 It is a fabulous tobacco once aged. I regret not putting more of it away and am thus attempting to do so now. It’s not mentioned very often but I find Comoy’s Cask No.4 to have similarities with Escudo. If you can find it in the bulk option pick some up to try (it’s also available in 3.5 oz paint can tin). It’s an excellent VaPer Flake. Cheers! Nobody mentioned GH's Louisiana Flake!? And the variant of it that GH makes for Pease...Stonehenge, I think. LF is a good 'un, but I only came to like it after it had close to year in the jar. For those of you who think more age is always better, well, maybe not. Several years ago I popped a 25 year old tin of McClelland's St. James Woods; all that time in the tin had well and truly tamed the Perique. I've had a similar experience with very old Escudo. To my taste, and I'm not the only one who has come to this conclusion, over a decade in the tin and the blend loses the zip that only Perique provides. You might like it better, or not, but it will be different. For the record, SG's St. James with a little age is a blend that I actually find exciting to smoke, I like it so much! If you like fruity/plummy I'd say give D&R Rimboché AP a try. Add a little hydration a tight pack and its heaven.